Though, have these efforts been paying off – and are users noticing them? According to data collected using Lucid, users say No. The controversy surrounding social media networks and the way they manage, distribute, or suppress content shows no signs of slowing down. 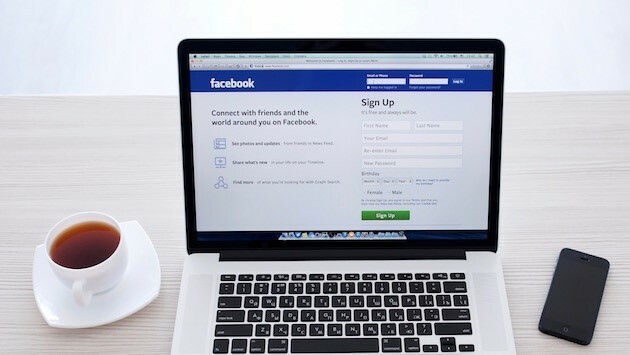 Recently, the U.S. House Judiciary Committee held a hearing -- the second one this year -- on the "filtering practices" of social media networks, where representatives from Facebook, YouTube, and Twitter testified. But for all the publicity around these tech giants fixing the flaws (and answering to lawmakers in the process), many users aren't reporting any improvement. 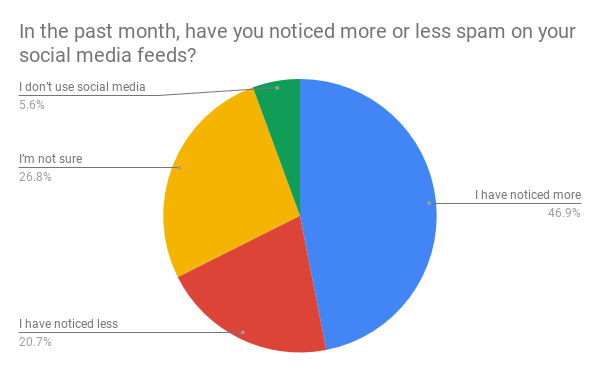 In a survey of 542 internet users across the U.S., UK, and Canada, only 20% reported seeing less spam in their social media feeds over the past month. Nearly half, meanwhile, reported seeing more. That figure could indicate several things. First, it's important to note that what constitutes spam is somewhat subjective. Facebook, for its part, defines spam as "contacting people with unwanted content or requests [like] sending bulk messages, excessively posting links or images to people's timelines and sending friend requests to people you don't know personally." 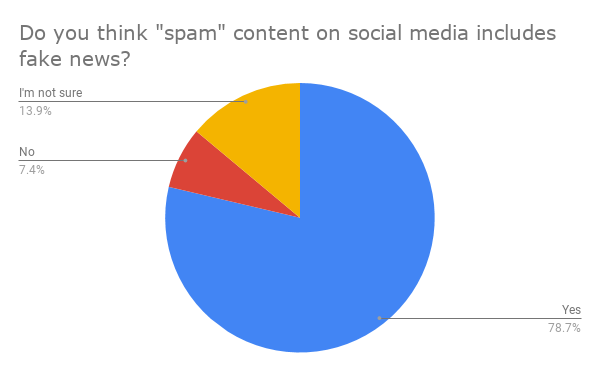 Something like fake news, for instance, does not seem to fall under that definition -- but according to the research, about 79% of people seem to think that it generally counts as spam. Facebook has struggled to define "fake news," despite CEO Mark Zuckerberg's best efforts in his congressional hearings and a recent interview with Kara Swisher on Recode Decode. Recent reports have also emerged that Facebook content moderators are sometimes instructed to take a "hands-off" approach to content that some might consider spam, according to The Verge -- such as "flagged and reported content like graphic violence, hate speech, and racist and other bigoted rhetoric from far-right groups." Regardless if people consider fake news spam or not, it’s clear that social media networks need to step up and change or create an option for those who want a strong filter on their news feed. 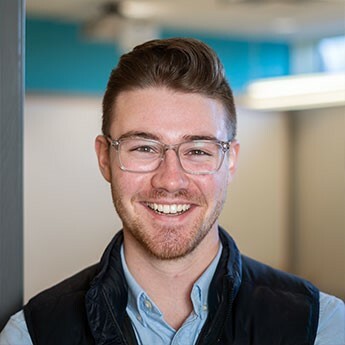 If you’re interested in learning more on the political side of things, check out the full article over at Hubspot.